AVN slurry system with a conical crusher is a safety tunnel boring machine with a diameter range of 0.4 to 4 meters. These micro expert experts show great potential, especially in the case of unreachable machines. The mud-supported mining concept allows the use of these machines from a variety of ground conditions, from sludge to clay to non-clay, as well as gravel and rock. According to the diameter, it is possible in the tube top and the segmented lining. 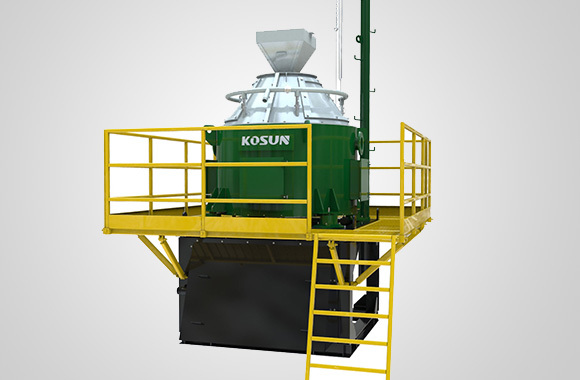 Because of its various applications, Kosun AVN 2000 slurry system replacement have proven their value in more than 1,000 projects worldwide. This mature machine technology can even be installed in the fast, efficient and efficient tunneling, even in the most difficult projects in the pipe jacking or sub-lining. 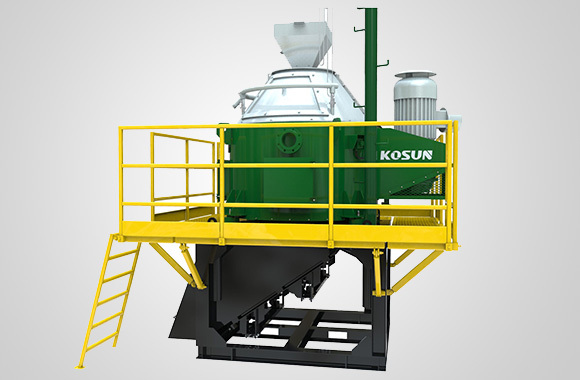 Kosun avn 2000 mud system replacament is usually used to cover sediment or small gravel items, but uses many different products. Kosun can customize these systems to meet your hourly code items. These systems can also be equipped with hydraulic mortar to remove large debris and mud mechanical dredging materials. The efficient clay separation process has the following essential characteristics: the excavated dregs are thoroughly separated and dehydrated until a very low moisture content is reached; bentonite and other additives are added according to geological conditions. The less the residual moisture, the lighter the weight of the residue to be separated, the lower the cost of the slag. In addition, in the sand and cohesive soil tunneling, if the suspended particles in the residual particles, will be due to mud suspension adsorption of solid particles to reduce the ability to reduce the tunneling speed. In this case, use a filter press and a centrifugal separator to avoid muddy mud. Kosun with more than 20 years experience and best after sale service gained well recognized all over the world. We are looking forward to cooperation with you. The shale shaker is the first phase of a solids control system on a drilling rig and they remove large cuttings from the drilling fluid, mud separation from fluids. A shale shaker is a primary mud separation tool on a drilling rig, they are considered tube very vital as all other equipment will be affected by the effectiveness of a shale shaker after it has cleaned and treated the drilling fluids. 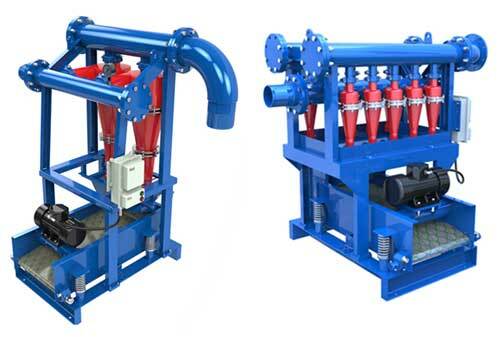 Decanter centrifuge is also a major component on the mud separation system, its a device that helps separate the finest silt and sand from the drilling fluid. The centripetal acceleration on a centrifuge causes the substances and particles that are denser to move outwards in the radial direction. A mud tank is used for storing drilling fluid on a drilling rig, it also works as the base for the solids control equipment. Mud tanks are a vital component on a mud separation unit. A desander and desilter are also for mud separation on oil rigs. They are a couple of hydrocyclones that deal with the separation of silt and sand from the drilling fluids found in drilling rigs. Desanders are usually located right on top of a mud tank and they will be followed by the degasser and the shale shakers . 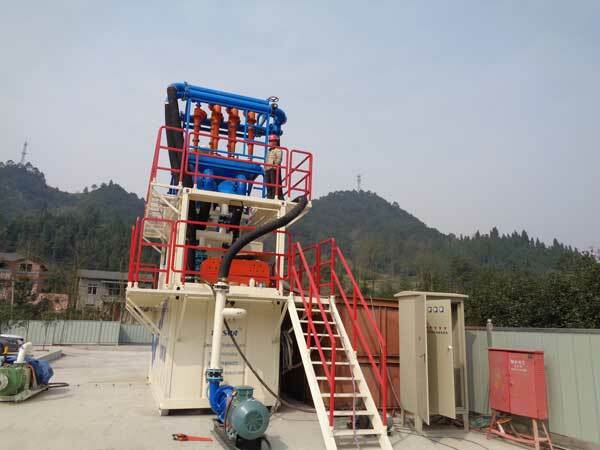 The vacuum degasser is also a necessary component on an oil based mud separation system, its purpose is the removal of gas from drilling fluids as this might cause the formation of bubbles. Desander Systems series of desander cleaner is the treatment of drilling mud secondary control equipment. The DS series desander cleaner is a two-stage solid control device for drilling mud. Commonly used cyclone diameter of 12 “and 10”, for the separation of drilling mud particle size of 47 ~ 76μm solid particles. It is used to separate the solid particles in the drilling mud with particle size of 47 ~ 76μm. Application areas: large oil rig supporting, supporting large-scale non-excavation rigs, shield engineering support, river dredging works, etc. 1.Separation of drilling mud in the particle size of 47 ~ 76μm solid particles. 2.Compact structure, small footprint space. 3.the number of custom cyclone and material to choose from; its material can be used polyurethane, high chromium cast iron or ceramic wear materials. The equipment tank with 8mm thick steel plate, integrated in the tank inside the advanced water sand separation system. Base with 20mm thick steel plate, durable. Switch base with manual hydraulic system, and with safety bolts, so that the base switch and seal becomes simple, safe and convenient. Equipment using advanced pneumatic diaphragm pump, driven by high-pressure gas, resulting in a steady stream of high-pressure water for the rapid demolition of sand to provide a strong driving force. The whole debris removal process does not damage the water in the tank, will not cause water waste. The device is equipped with a forklift fork for the use of the ear block, easy to move, a sand removal equipment can be used for multiple water knives. 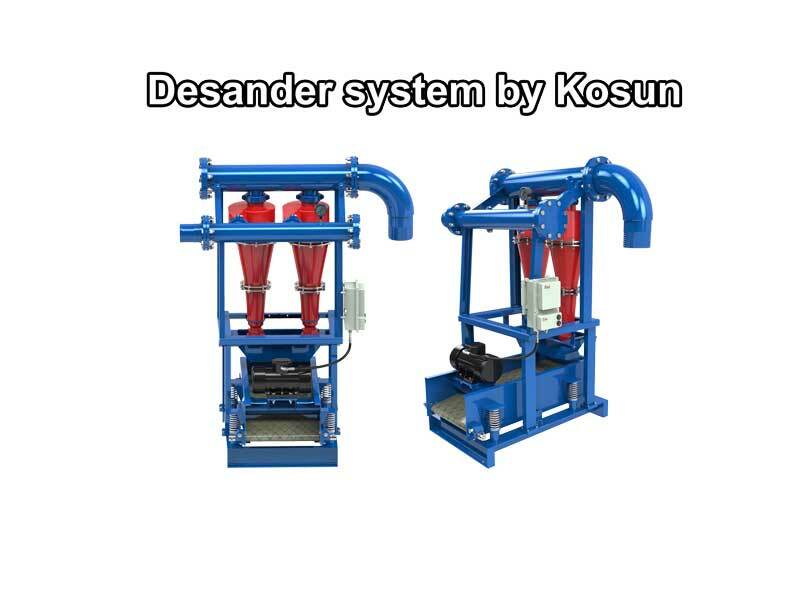 Desander Systems from Brand Kosun Manufacturer with more than 20 years experience and is well recognized by clients all over the world. HDD rig separation unit，refers to the mud recycling machines in the whole HDD rig system, and for the meaning of HDD, that’s can be easily know by search in Google, it’s the abbreviation form of Horizontal Directional Drilling，(also can be called directional boring)，which are widely used in the complex ground or tunnel drilling works, telecommunications and power cable conduits, water lines, sewer lines, gas lines, oil lines, product pipelines, and environmental remediation casings. And from the old time, people only dig holes and tunnels by hand tools, but when digging in special terrains such as under the lakes or with high humidity, there are more chances to encounter the dangers while drilling like collapse, water percolation and etc, so the modern technology make the HDD rig come into the light. For the different technical advantages, the several main elite companies who can make the perfect HDD rig is just the following: 1, Herrenknecht AG, a German based group which mainly specialize in mechanized tunneling with 3,100+ projects in the world. 2, NORMAG, A Holland based company which mainly doing business with HDD & micro-tunneling. And for the HDD rig separation unit or HDD rig separation system manufacturers, Kosun is the one with longest manufacturing history – about 24 years with the main products starting from oilfield drilling mud separation system, and with the technology and experience, they’re expanding the servicing area from the traditional oil drilling to the HDD rig separation and make the good performance for the new try. Even from the worldwide, the most valuable HDD rig separation unit manufacturer is hard to find, because the lower cost and high efficiency was not easy to perform best at same time. For the common company without full powered backup in budget, maybe the cheaper Separation unit for HDD rig from Kosun will be you good choice. 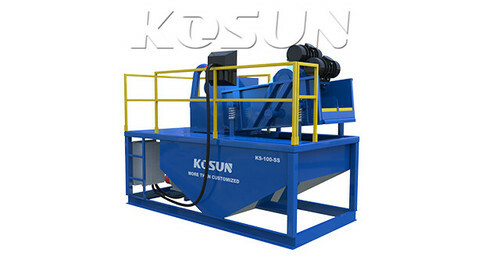 Desanding and desilting units, which is defined to make the component of the oilfield drilling solid control system(or the drilling waste management by Kosun), and the main mechanical parts of them are desanders and desilters. But in nowadays, these two parts are trenching its legs to other related industries, such as mud separation of AVN Machines, slurry treatment of Bored Piling Excavation, and the important parts of the mud separation system of diaphragm wall projection. According to the different situations of the projection target, the numbers of desander and desilters are different. But the basic procedures are roughly same, first step, the mud “walk” through the desander and make the “larger” particles in mud and fluids separate, and this can be finished by the usage of two or more hydrocyclones in the desanders; 2nd step, the first step “screened” fluids flow into the desilter, with more precise hydrocyclones (usually with 4 or 5 or more in numbers), and can separate 15-44um particles in mud, and the two system are running in a return mode, so the particles can be smaller and smaller, and finally got the desired and almost cleaned mud, that can be used again in projection. 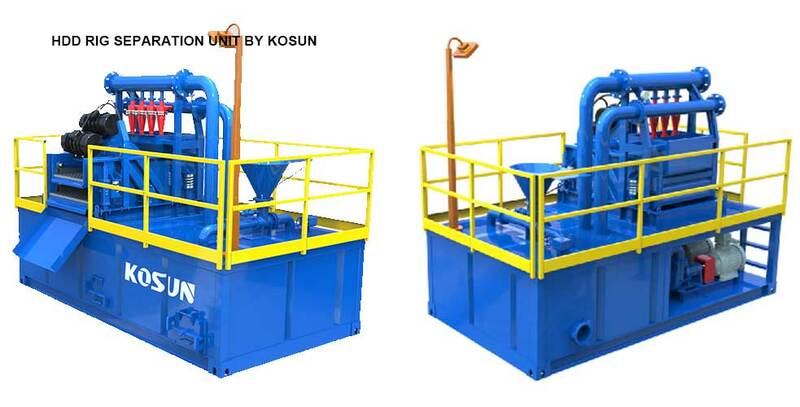 There are many experienced desanding and desilting units manufacturers in the world, and they all have their unique advantages, for the most advanced technologies owned, maybe Germany companies will be your choices and for more convenience and cheaper price system with good quality one, maybe the 24 years China manufacturer – Kosun will be you good choice. Not only provide the new system of desanders and desilters, Separation unitsbut also can make the custom designed system and lone time technical representatives of every customer as their after sale needs.